This DIY Light Bulb Santa Ornament can be made from burned out bulbs. A lot of my time during the holiday season is spent in making Christmas ornaments and other holiday seasonal decor. I find it so rewarding to make something instead of buying it, and love to share my creations with my readers. 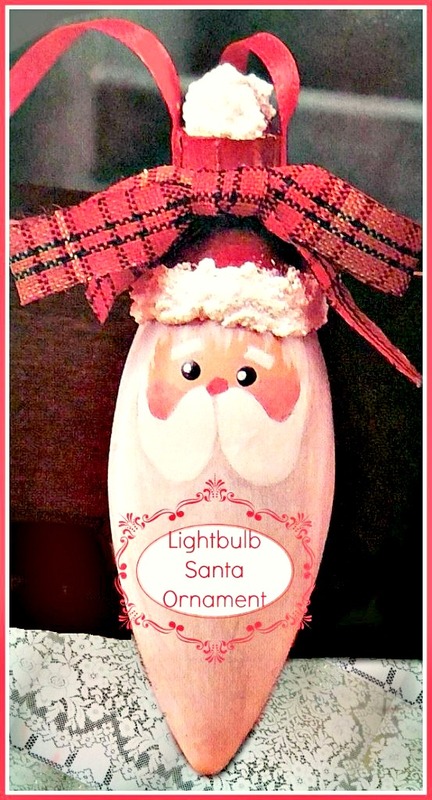 This adorable DIY light bulb Santa ornament is fast and easy to do and will look cute as can be on your Christmas tree. Anyone who reads my blog knows that I love to make projects that require little in the way of supplies. I use my craft materials over and over again. And if I can makeuse of something that is destined for the trash bin, so much the better. This project can make use of old light bulbs that have burned out. A win-win for the environment and for your holiday decorating fun. Place dabs of paint onto a paper plate. Use vinegar and the rag to clean the surface of the light bulb. When it is dry, paint the metal part of the bulb with red paint and let dry. Paint the whole bottom part of the light bulb with white paint. Don’t worry if there are a few streaks. It will give the beard some texture. Using a small paint brush, use your colors to paint the Santa face so that the bottom of the mustache starts just about the widest part of the light bulb. Here is a pattern for you to follow. 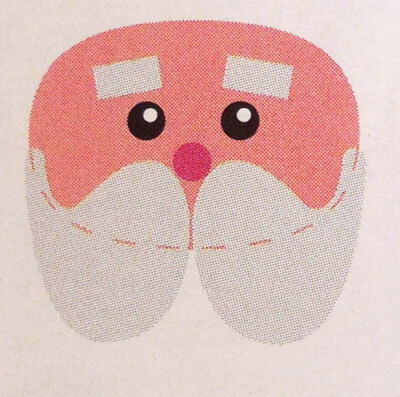 The dotted line shows where the bottom of Santa’s face will be before you add the mustache. Do the painting in layers starting with the head, then the mustache and finally the features, being sure to let it dry thoroughly between layers. When the paint is completely dry, cover the whole thing with water based varnish. Once dry, use a plastic knife to apply a band of textured snow to the bottom of the red painted top for the brim of the hat and another ball on top for a pom pom. Cut a piece of ribbon the size of the bulb top and set aside. Cut another piece long enough for the loop to hang the ornament. Hot glue the loop to the sides of the top and wrap the smaller piece around it and secure it with more hot glue. Use the plaid ribbon to make a bow for the front and hot glue it in place. Inspiration for this project is an old Crafting Traditions magazine. The magazine is no longer in print but the project would look great on any modern tree.